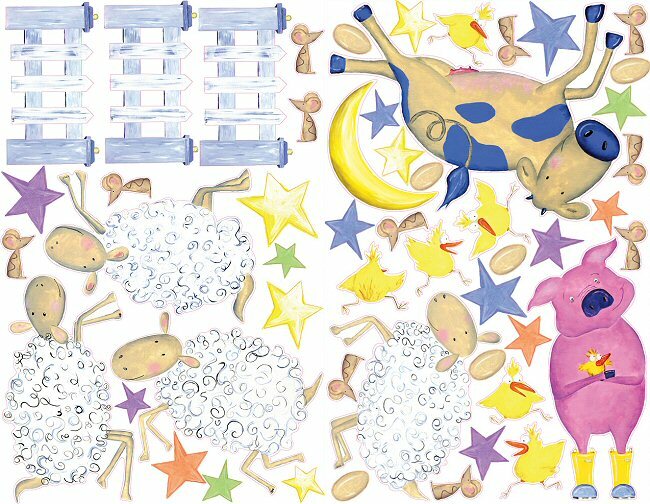 Old MacDonald may have had a farm, but you can bring the farm right into your child's room - sheep, cows, and all - with these amazing Fun on the Farm MegaPack wall decals. 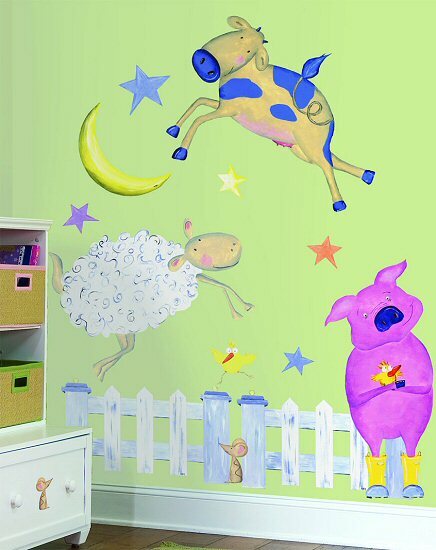 Packed with enough wall stickers to fill a room, including colorful cow, perky pig, silly sheep, mini mice, and more, this RoomMates MegaPack Fun on the Farm peel and stick wall mural kit makes creating a fun farm atmosphere a breeze. This RoomMates MegaPack Fun on the Farm peel and stick wall mural kit includes giant wall decals and a ton of small wall decals for a total room makeover! Repositionable, removable, re-usable, and washable, these Fun on the Farm MegaPack wall decals are perfect for transforming a room with ease while leaving no damage or residue on the surface. Cow 23.25" x 17.25"; Pig 9.25" x 20.5"; Sheep 16.25" x 13.25"